Latch and Batchelor was founded by Mr Arthur Latch, Mr Telford Clarence Batchelor and Mr Henry Herbert Horsfall to develop Mr Batchelor’s patent of Locked Coil Wire Rope and Flattened Strand and was formed in 1884 on part of the Hay Mills site owned at that time by Webster and Horsfall Ltd.
Whilst the Flattened Strand rope proved an instant success due to its abrasion resistant and compact construction – coupled with a high breaking load, such was not the case with Locked Coil. Not only was it difficult to manufacture – requiring specially designed machinery – but the cost of converting installations to accommodate this revolutionary design in many cases was prohibitive. Our early record books bear many a testament to expensive failures and say much for Arthur Latch’s perseverance. Due to its smooth outer layer Locked Coil’s popularity came with increasing use in Aerial ropeways and eventually it’s unexpected yet excellent non spinning properties and high breaking strength to weight ratio were recognized by the mining industry and adopted worldwide. 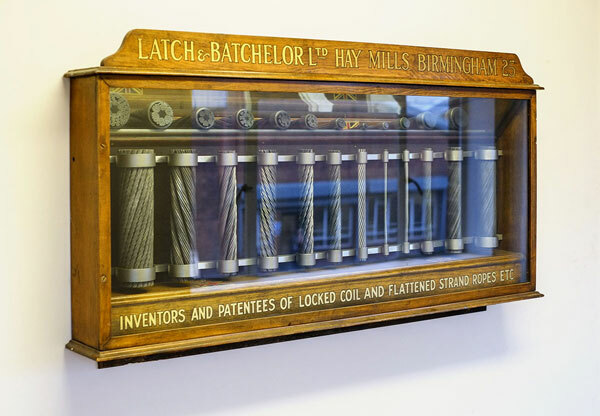 In the early 1900’s Latch and Batchelor Ltd gave considerable assistance to research being carried out by their Welsh agent, Becker, on the subject of rope attachments. Becker subsequently was granted a patent for his interlocking wedge type rope cappel and the Reliance Rope Attachment Company was formed. Locked Coil development continued with the advent of the half-lock Colliery Guide ropes and more use made of galvanized wires.  The company was one of the first to come under direct Government control in both World Wars. In the 1914-1918 war we were the sole manufacturer of shell fuse spring wire for example, producing 80,260 miles, according to our records, along with anti-submarine netting, mine, aircraft and balloon cables. The works did not fare so well in the 1939-1945 conflict receiving several direct hits during air raids. The main crane in the rope mill still shudders half-way down the shop caused by slight track misalignment from this time. The virtual extinction of Britain’s core manufacturing industries and mining caused us to re-focus our entire manufacturing operation at Hay Mills in the 1980’s. As a result we now concentrate on manufacturing a variety of specialist mining ropes for the export market as well as stocking, servicing and trading a wide range of high quality ropes & attachments for numerous applications. Latch and Batchelor supplied the 78mm diameter Locked Coil Wire rope for the Warragamba Dam. The dam is located about 65 kilometres west of Sydney in a narrow gorge on the Warragamba River, Warragamba Dam is one of the largest domestic water supply dams in the world. Created by damming Warragamba River and flooding the Burragorang Valley, the storage lake is four times the size of Sydney Harbour and stores around 80 percent of Sydney’s water. The dam opened in 1960 and still uses the original rope we supplied to this day.